former President Clinton; Donald Trump; Kenny Logins; Dennis Miller and Steven Tyler of Aerosmith for his outstanding Live Performances. recently performed on the only Floating Stage on the Las Vegas Strip "Show Bus of the Stars" from John Stuart creator of the world famous "Legends in Concert". Steve is also an established fine artist, many of his paintings are in public and private collections. Several examples of his art work are currently on display at the Southern Nevada Center for the Arts 1310 3rd St. Las Vegas. Steve's new show "Spirit of the King" features a six foot painting completed by Steve during the hour plus show - That's right! 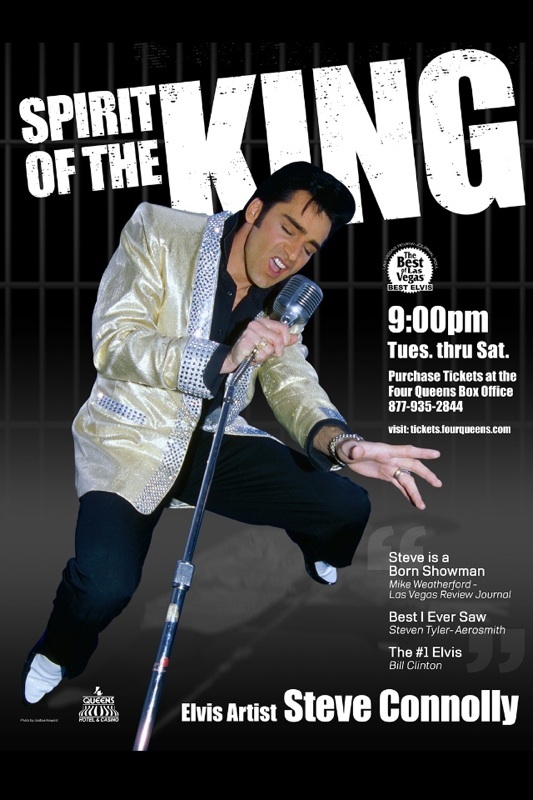 Steve will paint a portrait of Elvis during the show while singing! Wow! Copyright 2013 Select Entertainment Productions. All Rights Reserved.